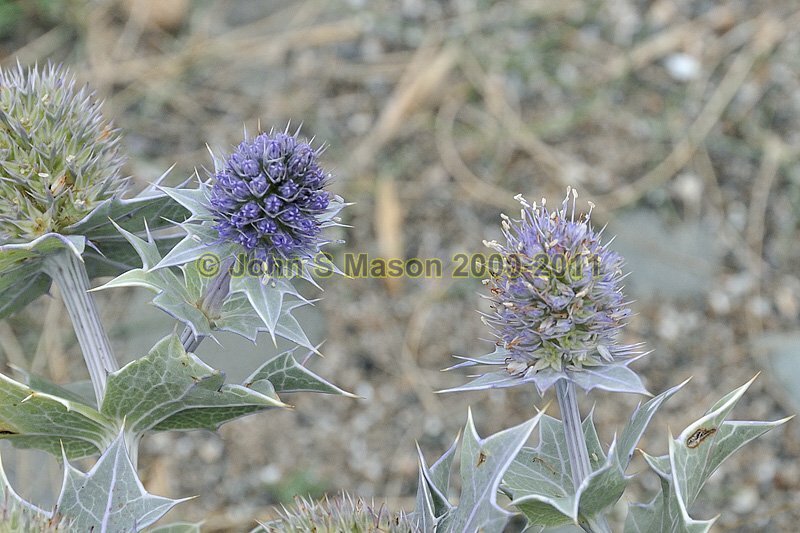 Sea-holly, another of the unusual plants that thrives in the harsh conditions at the top of the huge storm-beach at Tonfanau. Product number 081122. Email me to enquire about this image: click HERE.